Apple launched HomePod in January this year. The device was supposed to go against the Amazon Echo. The device has a superior sound quality when compared to the Echo but this doesn’t seem to convince the customers. By the end of March, Apple has lowered sales forecasts and cut some orders with Inventec Corp.
At the beginning of the sale, the HomePod got only ten percent of the market. On the other hand, Echo had 73 percent 14 was owned by the Google Home. The HomePod sales were later reduced to 4% three weeks after the launch. 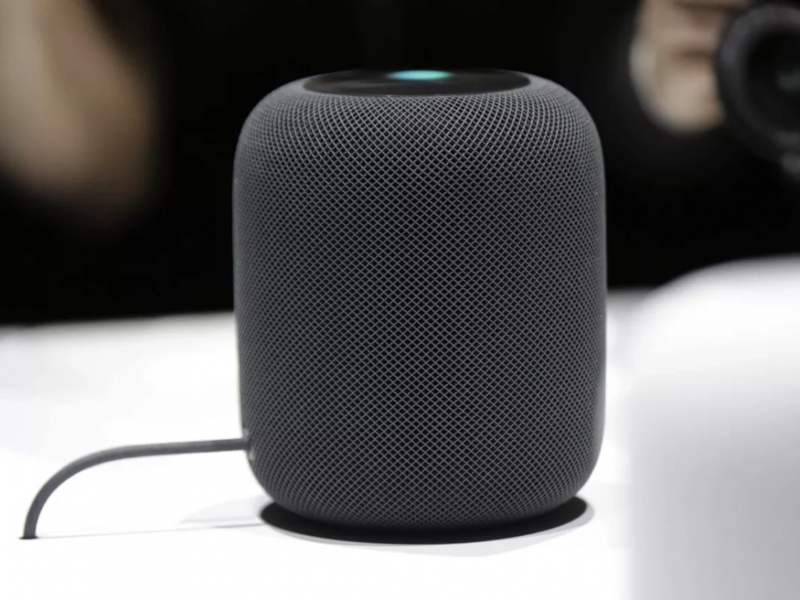 Apple Analyst Shannon Cross said that people thought Homepod would be similar to the Echo and Google Home. It was expected to answer questions, order pizzas and do much more. Sadly, the Homepod is limited to playing tunes from Apple Music, controlling a limited number of Apple-optimized smart home appliances and sending messages through an iPhone. It had all the potential to go toe-to-toe with Echo and Google Home but Apple never considered it to be something more than an accessory. It was like the Airpods, commented the people who worked on the product. When the Homepod was in development the bosses at Apple looked at the product as if it was a high-quality speaker rather than a voice-controlled digital assistant for the home. The worst thing was that the device missed its release during the holiday shopping season. The smart speakers were among the most sought-after products at that time.